Today on Disposal Road, birders Frank and Dave report seeing a Bald Eagle flying over the landfills around 12:20 p.m.
Several birders had the Red-shouldered Hawk (left) later in the afternoon on Disposal Road on the landfill across from the entrance to DeKorten Park. 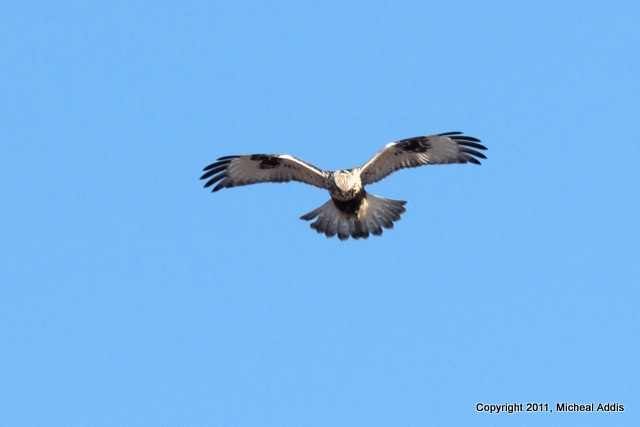 Northern Harriers were seen throughout the day today along Disposal Road. 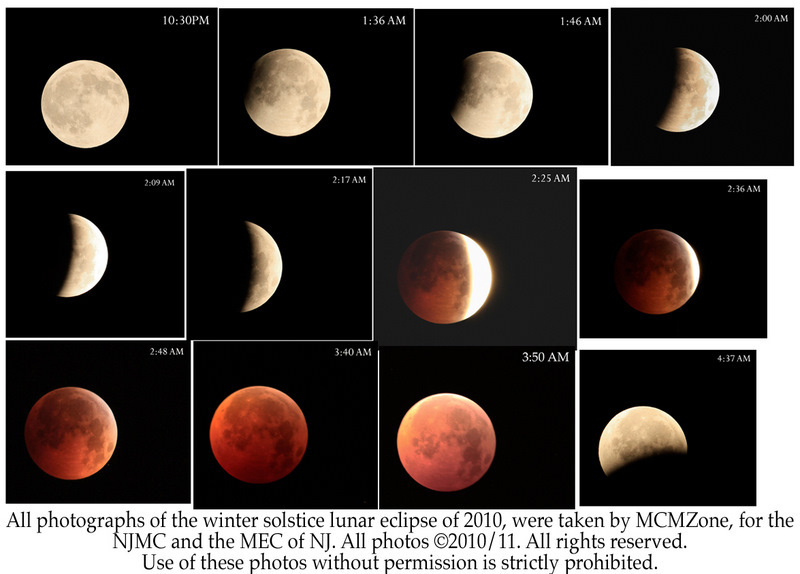 This very cool photo sequence of the Lunar Eclipse was taken from the Meadowlands Environment Center by photographer MC Malzone '10. Earlier posts are here and here. 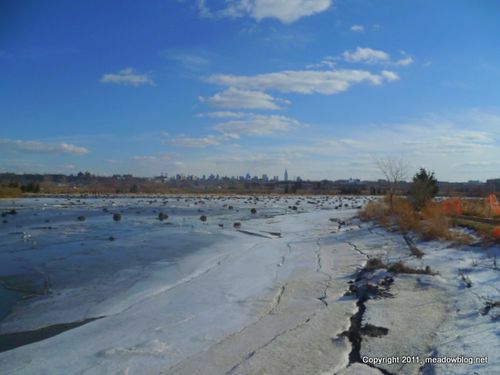 The Conserve Wildlife Foundation of New Jersey has a webpage featuring 2010 status updates for rare wildlife, including such Meadowlands favorites as the Bald Eagle, Peregrine Falcon and Osprey. Most summaries have a link to more info on each species, a nifty feature. 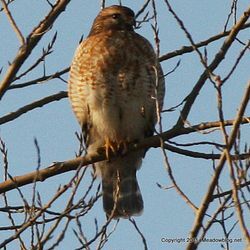 The foundation helps monitor and manage many endangered and threatened species in New Jersey in cooperation with the Endangered and Nongame Species Program. The link is here. For the state DEP 2010 report on the Bald Eagle, click here. 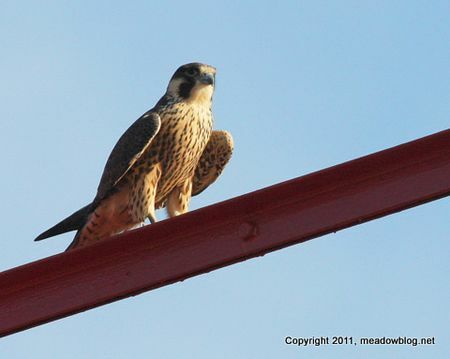 For the state DEP 2010 report on the Peregrine Falcon, click here. For the state DEP 2010 report on the Osprey, click here. Strange light this morning at DeKorte. Snow forecast for tomorrow. 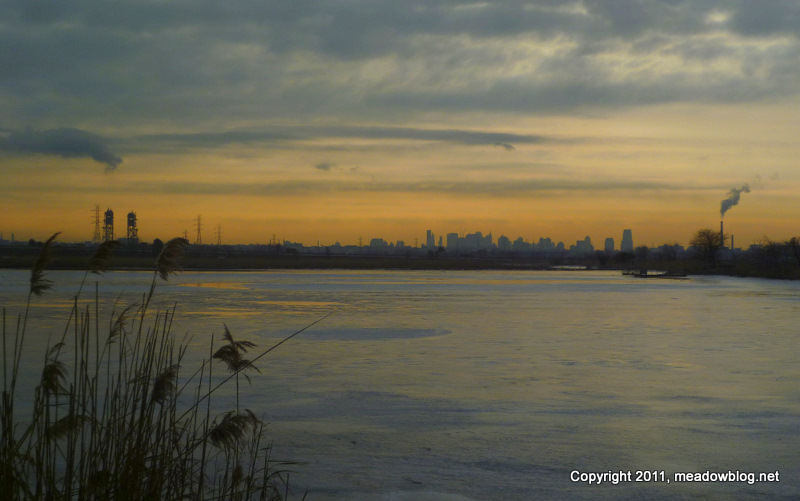 Paid a quick visit to (a partly snow-covered) Mill Creek Marsh to look for the Eurasian Green-winged Teal, with no luck. But did have: a dozen American Green-Teal, Ruddies, Gadwall, a pair of Common Mergs, a female Hooded merg, Great Blue Heron, Great Black-backed Gull and Northern Harrier.